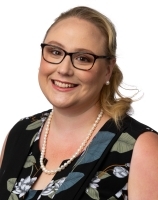 Kate works with national insurance companies and their insureds to provide advice on all areas of workers compensation, property damage and compulsory third party insurance claims. Kate specialises in obtaining reasonably arguable case orders for clients, negotiating settlements in a variety of Tribunals and Courts and providing timely advice on claim management. Kate’s focus is on providing practical result focused advice. Negotiating for clients for the overall settlements of claims. Kate is a member of the Tasmanian State Committee of the Australian Insurance Law Association and was involved in running a workers compensation masterclass for industry members in 2015. She regularly appears in the Workers Rehabilitation and Compensation Tribunal, Motor Accidents Compensation Tribunal and the Supreme and Magistrates Courts of Tasmania.